If the car you are interested in is an expensive model don’t let that put you off right away. There are often extremely good deals you could take advantage of to lower the price. One approach which could work is that of making your move in a month when new car sales are generally pretty slow, such as the turn of the year. Alternatively, you could also wait until the latest batch of new models are released and look to see if your dream car is part of their left over stock from the last campaign that now receives a big discount. If you are going to have to get a loan for your new vehicle then you need to check the APR carefully. If you can get an extremely low APR, or even a 0% deal, then this is going to make the finance a lot easier to pay. This sort of offer is more common than you might think on new cars and you should ask about the possibility of 0% APR even if the salesman in your local dealership doesn’t offer it up front. 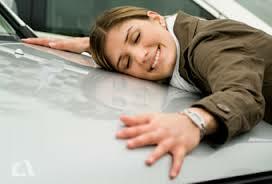 You might be keen to get rid of your current car but it can still prove very useful to you as a bargaining tool. Your first step is to go online and find out exactly how much it is worth right now. Too many people go to buy a new car without knowing how much they should expect the trade in price on their existing vehicle to be. Once you know how much it is worth you are in a position to try and maximise the money you get for it. Every extra pound you get for it is a pound off the one you are planning to buy, so make sure you don’t accept a poor trade in offer for it. Many of us shy away from haggling but it is one of the most tried and tested ways of making sure that you get the best possible price for your new car. You might manage to achieve a fairly substantial discount on the vehicle and you won’t lose anything by giving it a try. Maybe you want a BMW? If the full price tag is too high for you then don’t give up on it just yet. Go and ask for a discount and see where the conversation leads you. Sometimes you might find that there is genuinely no leeway on the price of the car but in other cases you could find that even a mild spot of haggling can be enough to bring it within your financial reach. If the previous steps still aren’t enough for you to get hold of the car you really want, what is there left for you to do? One possibility is that of checking out similar but more economic options. For example, the car you are after might have a more basic model which lacks some of the additional extras but is basically the same vehicle. You might also find after a bit of investigation that the manufacturer makes virtually the same car but under a different badge, such as some of the cars made by the Volkswagen Group but sold under the as Skoda and Seat brands. Have you ever managed to buy a car you initially thought you couldn’t afford?